The exhibition attempts to conduct the psychoanalysis of the Polish collective unconscious on the basis of rich and abundant visual materials. The aim of the exhibition is to show graphic design as a medium which reveals the transformation of political and social awareness. Is there freedom in design? How do creative attitudes evolve in the dramatically changing socio-political atmoshperes? How do designers identify their role and build an artistic statement in the tumultuous transition from socialism to post-capitalism? 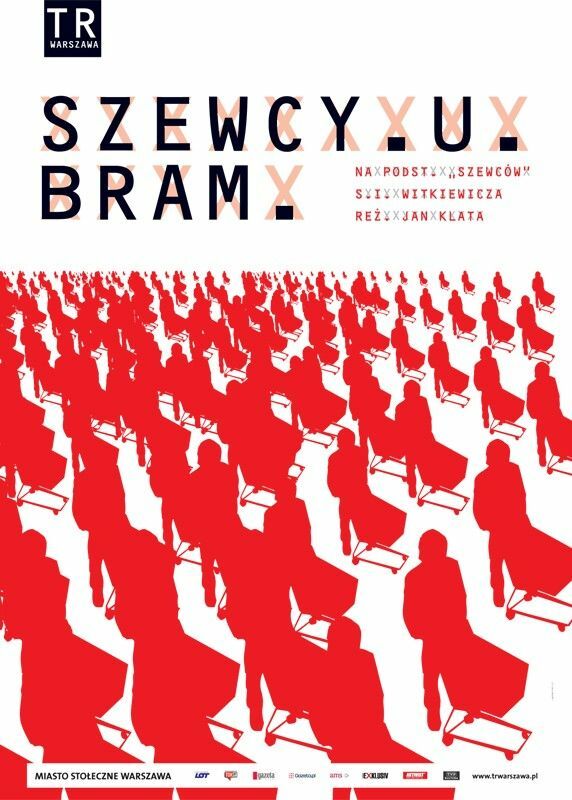 Polish graphic designers are characterised by paradoxes: anarchism and conformism, individualism and indulgence in trends, rigor and a sense of autonomy, rationalism and romanticism. The exhibition has become a stimulus for reflection on the concept of creative freedom, the variable framework for creative exploration and experimentation; limits imposed by the various political and social realities. Is political dictatorship clearly the "deprivation of liberty" and is democracy always the condition and incentive for development and opportunity? What are the consequences of globalisation, access to new technologies and rapidly spreading new trends and habits? When can uncompromising attitudes be discussed? Finally - can national traits still be seen in twenty-first century design? What differs a designer from behind the Iron Curtain, tormented by the permanent lack of technological base and materials, from his colleague equipped with the latest technological developments? Or maybe they skillfully adapt to the globalised world, not losing contact with their own roots and drawing on the national tradition and culture with utmost competence? The gathered works present the full spectrum of styles, languages, conventions and techniques. They show design as a vehicle for social self-organisation, an impetus for radical changes, a tool of manipulation, indoctrination, political power and oppression. The pieces consist of works from various fields of design, performing different functions; scarcely seen posters, magazines, newspapers, packaging, signs from the years 1981-2011. Arranged in series, become a story about the drastic changes in the model life, of the aspirations, priorities, habits and ways of perceiving reality, what its like to be a Pole. The exhibition is presented as an open working space hosting activities and events connected with practical and theoretical aspects of the Polish graphic design. A printing workshop is be created using a screen print, a duplicator and some other simple printing equipment. The exhibition catalogue has an experimental form. It becomes a creative area - modified and submitted to interventions. While being supplemented by the original projects created in there by the graphic designers, it is released and printed during the exhibition. The unprecedented presentation of the Polish design is accompanied by a series of workshops and meetings with Polish graphic designers as well as presentations and lectures of critics and historians of design, and some graphic related activities around the city. The gallery is also launching a bookstore with publications, posters and gadgets connected with the Polish graphic design. Artists: Grzegorz Laszuk, Jakub Hakobo Stępień, grupa Fajne Chłopaki, grupa Krecha, Artur Frankowski, Małgorzata Gurowska, Agata Nowotny, Piotr Rypson, Michael Okraj, Agata Szydłowska, Lex Drewiński and others. Organised by the Association of Graphic Designers (STGU). This is a joint project with the Adam Mickiewicz Institute and the Ministry of Culture and National Heritage, as part of the Cultural Programme for the Polish Presidency in the EU. The exhibition is open from the 25th of August to the 11th of September 2011. After the show in Berlin, the exhibition will be presented in Tokyo (13-23 October 2011).